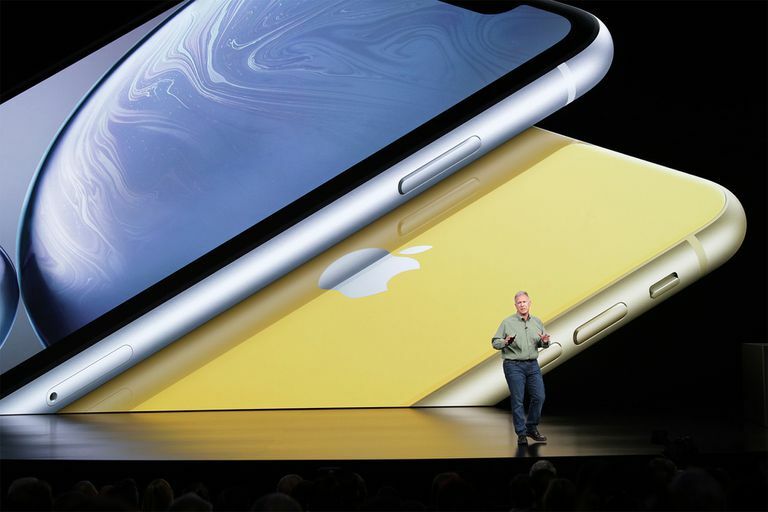 Apple Senior Vice President Phil Schiller introduces the iPhone XS and XR. With the iPhone being seemingly everywhere and so popular with so many people, you may have asked yourself: How many iPhones have been sold worldwide, all time? When he introduced the original iPhone, Steve Jobs said that Apple's goal for the first year of the iPhone was to capture 1% of the worldwide cellphone market. The company achieved that goal and now stands at somewhere between 20% and 40% of the market, depending on which country you're looking at. Overall marketshare also isn't the only important measure of success. Apple in particular is interested in the high-end, high-profit, high-priced smartphone market. In that area, the company is much more successful. Apple earned almost 80% of the worldwide profit on smartphones in 2016. That means most other smartphone makers actually lost money on every phone they sold! The total sales listed below include all iPhone models (starting with the original up through iPhone XS and XR) and are based on Apple's announcements. As a result, the numbers are approximate. The sales figures listed in this article are likely to be the last official sales figures we'll have for a while. That's because Apple has stopped providing public sales figures for the iPhone, as of Nov. 2018. In some ways, this isn't that unusual: many of its competitors, such as Amazon and Google, don't provide specific, detailed sales figures for their top products. In other ways, though, this is a huge change. We'll now have less information about Apple's most popular product, which is also one of the most important tech products in the world. We'll see if Apple ever starts reporting iPhone sales figures again. If it does, we'll be sure to update this article. Has Apple Hit Peak iPhone? Despite the iPhone's terrific success over the last decade, its growth seems to be slowing. This has led some observers to suggest that we've reached "peak iPhone," meaning that the iPhone has achieved its maximum market size and will shrink from here. Needless to say, Apple doesn't believe that (or, at least, doesn't want to believe it). To prevent the phone's sales from stagnating, the company has made a number of strategic moves with its products. First, it released the iPhone SE, with its 4-inch screen, to expand the iPhone's marketshare. Apple found that a large number of its current users haven't upgraded to the larger iPhone models and that in the developing world 4-inch phones are particularly popular. In order for Apple to keep growing the size of the iPhone market, it needs to win over larger numbers of users in developing countries like India and China. The SE, with its smaller screen and lower price, was designed to do that. Additionally, the company has pushed the high end of the iPhone line even higher, with new innovations like the Face ID facial recognition system and nearly edge-to-edge screen, both of which were introduced on the iPhone X and were later improved with the iPhone XS and XR. Those moves haven't proved to be enough, though, and iPhone sales are starting to slide. In fact, CEO Tim Cook issued a statement in early 2019 that iPhone sales were lower than the company had expected. The causes of this sales dip are complex and include tariffs on goods manufactured in China (like the iPhone) that are out of Apple's control, but many observers are concerned that the decade of runaway iPhone sales is coming to an end.